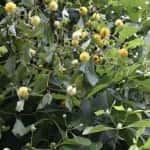 The plant is a natural analgesic for people who don’t like taking pain medications and want a feel-good supplement for anxiety and depression. In conventional Asian cultures, kratom’s benefits are highly recognized and its leaves have increased workers’ productivity. It’s also been used to help people through their opiate and heroin withdrawal symptoms. There are many people who have warned against Kratom use, fearing it will lead to addiction and possible withdrawal symptoms if you decide to stop using it. 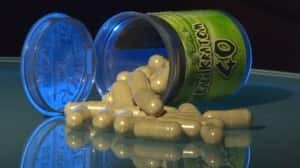 According to an unnamed article, parents are advised to learn about Kratom because it could cause their kids to become addicted. With that kind of warning, the public does have an unfair perception about this herbal medicine. If you were to ask random people on the street about it, they’ll say that Kratom is addicting – that gets people hooked on drugs. However,the only time you must worry is when you abuse the use. Addiction is when you have a physical dependence on some type of substance – it produces a powerful, dangerous need to have it on a regular basis. Addiction will cause your brain to rewrite itself so that you become dependent upon the compound. Kratom, isn’t like other drugs or natural pain medications. It can be habit forming or create some kind of psychological dependence if used for long periods of time. There have been several cases of Kratom habits, but these are extremely rare and only happen when used excessively for a long time period. The United Nations Bulletin on Narcotics said getting to Kratom addiction gradually occurs with dosages and frequency increases. According to the report, dependences of Kratom are seen in people who use the herb for 10 years or more. They look at the occurrence of Kratom abuse in native Thai populations. These populations have used the herb for hundreds of years. 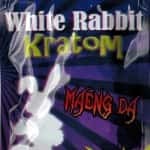 What they learned was just a minute percentage had a Kratom habit problem. In fact, it’s believed that the addictive possibility is far less than caffeine. Should somebody begin using the Kratom leaf in excess, they could have tolerance buildup to the substance’s effects. As time passes, the neural receptors start adjusting so they’re not near as sensitive to the alkaloids. This can cause some people to increase the amount they take to get the same effects they originally had. Increasing the dosage can be extremely dangerous. 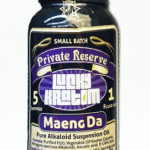 With a tolerance buildup, some people will take more the recommended Kratom dosage. 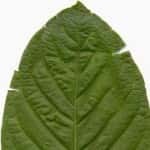 A habit to the Kratom leaf will cause withdrawal symptoms to hit when you finally stop taking it. Therefore, you don’t want to go above that recommended dosage. 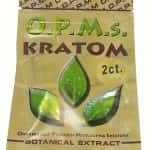 If you begin to experience a tolerance, stop using the herb or go to another Kratom strain. You can also mix the strains to expose those neural receptors to slow down or halt the tolerance from coming about. In the majority of cases, when you stop taking Kratom, you won’t feel a big difference than when you began using it. Some people do miss the experience the Kratom gives them, which causes them to crave it. However, this feeling shouldn’t be regarded as an addiction. Addiction is when you’re unable to control cravings and your focus is sporadic until that need is met. The best way to avoid the problems is to control the dosage and spread the usage out. Do this and get some exercise on a moderate basis and you’re not liable to have a tolerance buildup or experience negative side effects. Kratom addiction help is readily available to individuals who have misused this substance as well.